Apparently the D is for diversity. Alphabet (GOOGL), the parent company of Google, appointed former Federal Reserve vice chairman Roger Ferguson to its board on Wednesday. In addition to bulking up Google's bench of financial expertise, the appointment also marks an important milestone for diversity: Ferguson is Alphabet's first black board member. "He has a long record of distinguished and thoughtful service in the private and public sectors, and deeply understands how technology can improve the lives of people around the world," Eric Schmidt, Alphabet's executive chairman, said in a statement. Google has been working to improve the diversity of its workforce through unconscious bias training and expanding the colleges it recruits from in response to renewed media scrutiny about inclusion in the technology industry. On Wednesday, Google also officially opened a new space in its New York office for Black Girls Code, a nonprofit group. Progress has been slow for Google and its peers. Just 2% of Google's overall workforce is black, while 60% is white, according to its latest internal numbers. But bringing Ferguson on to Alphabet's influential board of directors is a step in the right direction. 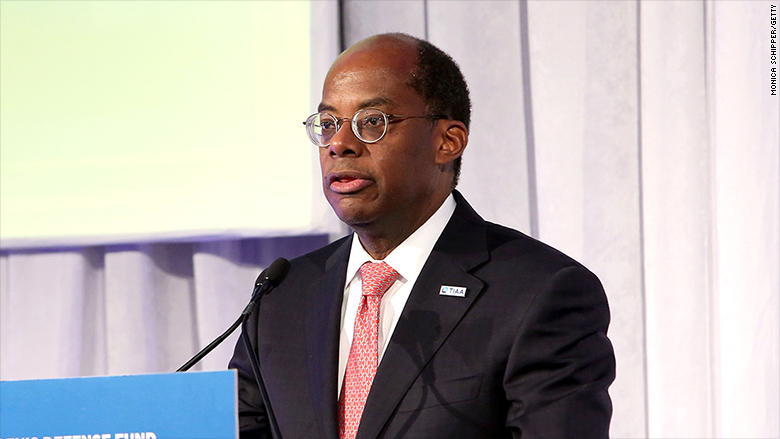 In his current role as president and CEO of TIAA, a financial services company, Ferguson has been praised for making diversity and inclusion a key business focus. "For us, it's not just a nice to have. It's a must," he said in an earlier statement. "A diverse workforce helps us better understand and address the needs of our customers. It brings a range of experiences and perspectives to the table, which leads to more innovative thinking and better problem-solving." Google isn't the only tech company diversifying its board. Twitter (TWTR) appointed its first black board member, BET CEO Debra Lee, earlier this year after one of its largest investors criticized it as a "country club of old white guys."